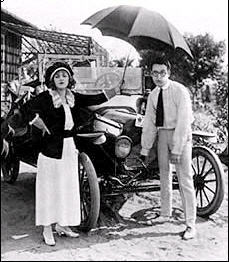 Harold Lloyd began his motion picture career in 1913 and made dozens of silent shorts before graduating to writing, directing and starring in feature comedies. He became well known for his athletic film stunts, with his on-screen persona being a hapless fellow with oversized glasses, who was continually in peril. During the filming of "Haunted Spooks", Lloyd lost his right thumb and forefinger when a prop bomb exploded. The general public never knew of this accident as he quickly adapted to the wearing of a prosthesis and glove. 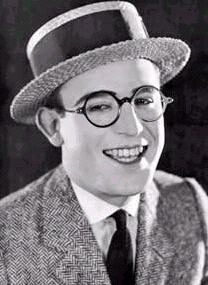 Harold Lloyd is one of the elite Legends of Laughter.